What's Going on Today: Packing for Memorial Day, pick up dry cleaning and fresh bottles of sunscreen. Plan for walk to the beach after naps. Naptime Goals: Prepare Cous-Cous Salad with Blue Cheese and Craisins, wrap up blog posts, zip up suitcases! 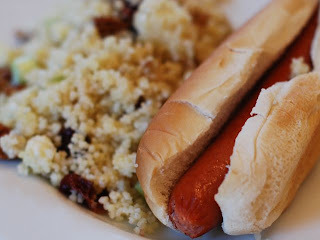 Tonight's Menu: Hebrew National Hot Dogs with Toasted Buns, Cous-Cous salad, Green Salad, Chocolate Almond Ice-Cream. Parenting Lesson of the Day: Never underestimate the appeal of shell collecting to a toddler. As you'll see above, last Saturday I spent the morning at an awesome Hebrew National Better-Than-A-Picnic Picnic on Randall's Island. I don't normally align myself with brands and attend company sponsored picnics, but I really do like Hebrew National. Their hot dogs are tasty and all natural, plus, they had me and the other mom bloggers attending take part in a great service project. I always love it when large brands take the time to help others. At this particular picnic we decorated reusable lunch sacks for the Magic Summer Lunchbox Program. It is a program run by Feeding America to help feed children during the summer when they are unable to get their usual free lunches at school. The lunch totes we decorated were taken to the Food Bank in East Harlem and distributed, full of food, to children in the neighborhood. To make the picnic even more fun, Cheryl Hines emceed the event beautifully. She believes strongly in helping others and has a new show she is executive producing called School Pride debuting this fall on NBC. I'll definitely be tuning in - with a wad of tissues at my side - for that! So, back the hot dogs. I love a good hot dog but steer clear of those filled with gross, unidentifiable ingredients. When I do reach for them I usually buy Hebrew National because they are so authentic and the taste proves it. Being at the picnic really put me in the mood for hot dogs at home, so, as you'll see above, I came home and did just that.These hot dogs would be perfect for any upcoming Memorial Day picnics. Need some more Memorial Day menu ideas? See below. Also, be sure to check out my newsletter this week for an especially great summer recipe that's never been seen here. Have a great weekend! What's Going on Today: Rainy day fun at Stepping Stones, pluck fresh rosemary from herb pot for pizza dough. 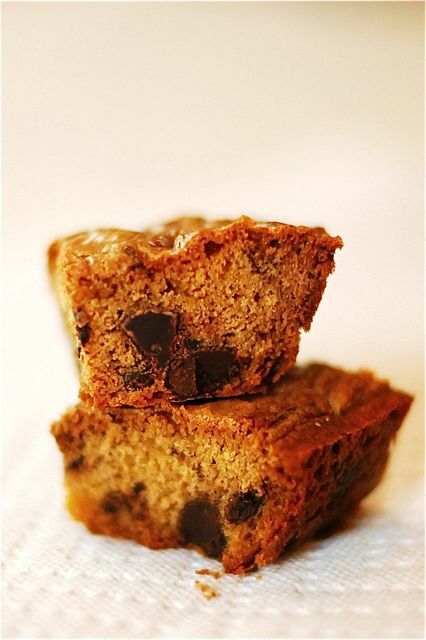 Naptime Goals: Bake Butterscotch Chocolate Chunk Blondies, prepare pizza dough. Tonight's Menu: Whole-Wheat Rosemary Pizza with Fresh Mozzarella, Carrot Souffle (already in the fridge), Blondies. Parenting Lesson of the Day: A hearty thank you to the person who invented the concept of Children's Museums. Rainy Sundays are great for adults, but not for kids. On these wet, gray occasions all my husband and I want is a quiet morning with the paper, while all my daughter wants is to jump on the sofa. I'll admit, at times like these I sometimes wish Mary Poppins would float down from the sky, knock sweetly on my front door and whisk my kid to her nursery for a fun-filled afternoon. But, since she didn't show up this past Sunday, when the exact scene described above was playing out in our living room, I ditched the paper and took my daughter to the local Children's Museum. My husband had just returned from a long week of work and I knew - or at least hoped - that a morning spent in a fortress of toys would be a constructive outlet for her seemingly limitless energy. The great news is that it worked. One Family Membership later, we gained full access to the museum and I set my daughter free to play as hard and as fast as she could. Then, after two hours on the dot, I whisked her home for a nap. A rest which, to my amazement, lasted almost three (3!) full hours. With time like that on my hands I was able to bake the blondies, prepare pizza dough and take a nap. An unexpected treat which I fully enjoyed. The pizza for dinner that night, which I've written about before, was fantastic. But what really stood out were the bars. Inspired by one of my favorite flavor pairings of butterscotch and chocolate, these bars were an experiment of sorts that happened to work out beautifully. 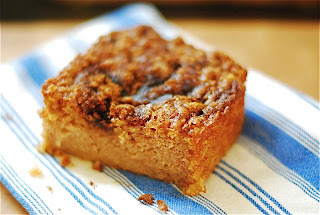 I started by combining the butter and brown sugar to create the butterscotch base, then added the rest of the ingredients until I had a creamy, dark brown batter. Since I had chocolate chunks at the ready I decided to use those and was pleased with the outcome. The irregularly shaped chocolate melted slightly into the bars as they baked, creating a slight marble effect. I also liked the way the chunks gave substantial chocolate flavor to each bite, standing up nicely to the dense cake-like batter. It took a certain amount of restraint to hold back from immediately eating half of the pan. In fact, once they cooled to room temperature, I wrapped half of the batch in layers of plastic and aluminum foil and froze it. They will be fantastic to have on hand for a later date when friends unexpectedly swing by or I need a sweet treat to take to a beach picnic. As for the rest of the batch? Well, I'd like to say it lasted for the rest of the week, but you all know me better than that. 1. Preheat oven to 325ºF. Butter a 9x13 baking dish and set aside. 2. In a double boiler, or glass bowl placed over simmering water, and add the butter and sugar. Allow to melt slowly and whisk until completely blended. Remove from heat and allow to cool. 3. While butter mixture is cooling, whisk together flour and baking soda in a small bowl or measuring cup. 4. When the butter mixture has cooled whisk in the eggs, vanilla, corn syrup and salt. Fold in the flour mixture with a wooden spoon until completely combined. Then, add the chocolate chunks, but don't overmix. 5. 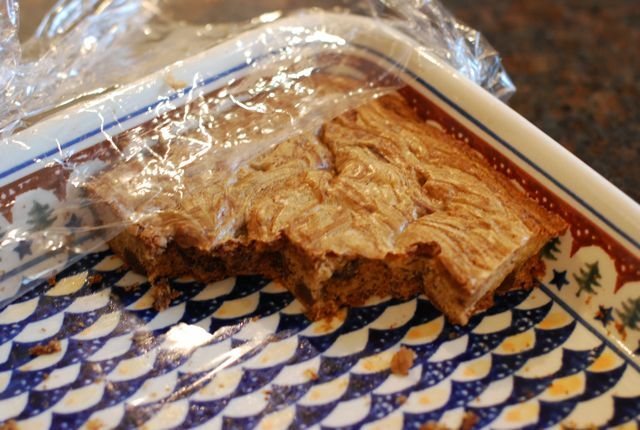 Pour the batter into the prepared pan and bake for 40-42 minutes, or until cake tester comes out clean and edges of the blondies are slightly pulled away from the sides of the pan. Cool completely, then cut into bars and serve. Naptime Recipe Variations and Ideas: The butterscotch base of these blondies would work well with many different kinds of add-ins. If you are up for something different try macadamia nuts, butterscotch chips or even a scoop of sweetened coconut. Naptime Stopwatch: Preparing the batter takes about 20 minutes, you must take your time melting the butter and sugar. Baking time is 40 minutes. Naptime Reviews: Is there anyone in this entire world who doesn't like a blondie? Please have them call me and I swear this bar will sway them. What's Going on Today: Morning at new gym followed by trip to new neighborhood playground, Grilled Cheese (Whole Wheat with cheddar) lunch at home. Naptime Goals: Make Strawberry-Blackberry Shortcakes for tonight's dessert and to take to neighbor, meet electrician to hook-up doorbell and fix smoke detector. Tonight's Menu: Roasted Sausage with Grapes and Onions, Green Salad, Shortcakes. Parenting Lesson of the Day: It's great to have neighbors with kids. Great news, I am no longer the newbie! A nice family from Minnesota moved in right next door the week after we arrived. Imagine that. I spent one week asking everyone in town for advice and now I am doling it out to this nice neighbor as if I've lived here my whole life. Being the new girl was fine, but I am more than happy pass on the mantle. The icing on the cake is that the neighbors have kids about the same age as my daughter. Built in playmates - hooray! It's a situation custom made for summer fun. Earlier this week, my daughter and I were at my new favorite store and I picked up some strawberries and blackberries. I am still waiting for the local ones at our farmer's market to appear, but these were grown on the eastern seaboard which isn't too bad. True to form, I gobbled about half of each pint by the time I got home, then saved the rest for later. After a day of straight berry eating I decided it was time for them to take on another form in the shape of shortcake. I've made my fair share of peach shortcake and strawberry shortcake, but why not mix it up, right? A shortcake - the actual biscuit in which the fruit and cream are inserted - can hold just about any summer fruit. So, based on their availability in my fridge, I decided that a strawberry-blackberry combination would be the perfect place to start. I had plenty of time to Naptime Chef some shortcakes while my daughter napped since dinner was already assembled in the fridge. The dough took no time at all and they baked quickly. By the time they had cooled I was able to bag up four, along with berries and whipped cream, to take to our neighbors. They had invited us over for an afternoon of playtime and it seemed only natural that I start giving out goodies to friends just like I had in New York. (Though, for the record, I am still taking goodies to my friends in NYC, too!) They were grateful for the sweets as they get settled, and we were happy to make new friends. 2. In a mixer fitted with the paddle attachment add flour, sugar, baking powder and salt. Stir the ingredients with a whisk a few times to make sure they are evenly incorporated. 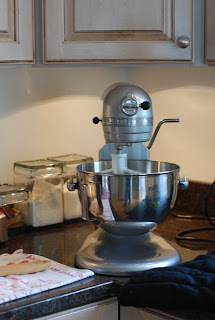 With the mixer on low, drop in the butter pieces and keep mixing until the dough forms small pebbles. 3. Beat the egg and cream in a measuring cup and pour into the butter and flour mixture. Turn the mixer on low and mix until just blended. Do not overbeat. 4. The dough will be sticky, turn it out onto a well-floured surface. Press it down until it is 3/4" thick and cut out 7-8 biscuits with a 2 1/2" fluted cutter. If you want to use a cutter that is smaller or larger, that is OK, too. 5. 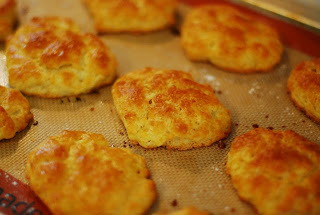 Place the biscuits onto baking sheet lined with parchment or silpat. Brush egg wash over biscuits. Bake for 18-20 minutes or until outsides are crisp and insides are baked through. Cool in a wire rack. 6. 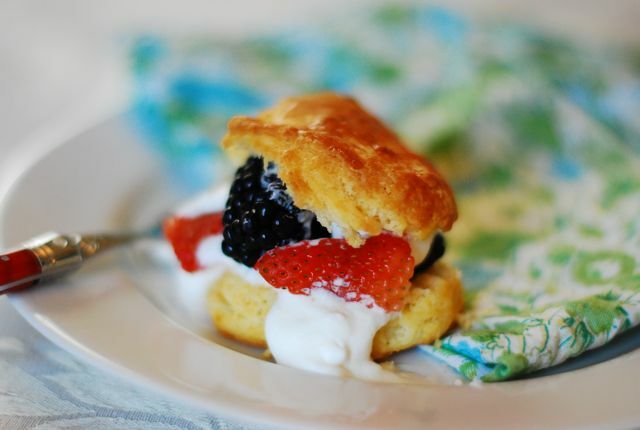 To assemble the shortcakes: Whip the cream and sugar together until it holds soft peaks. Split each biscuit with a fork, pile in the desired amount of strawberries and blackberries, top with a dollop of whipped cream. Naptime Recipes Ideas and Variations: Shortcake tastes delicious with any juicy summer fruit. I would recommend trying these with peaches, raspberries, blueberries, strawberries, blackberries, apricots or plums. Naptime Stopwatch: Making the dough and baking the shortcake takes about 30 minutes, the rest is just assembly. Naptime Reviews: This is a great way to get children to eat fruit they might not usually want. My daughter is skeptical of blackberries but loved them paired with cake! What's Going on Today: Hangin' with Uncle Will in Cooperstown, trip to see new baby lambs at The Farmer's Museum. Naptime Goals: Work with Uncle Will as we recreate his famous Chimichurri Amarillo marinade. Bake scones for breakfast tomorrow. 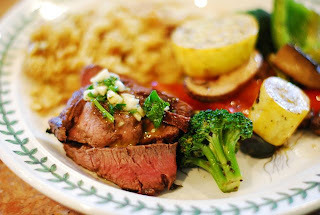 Tonight's Menu: Uncle Will's Chimichurri Amarillo Steak, Grilled Vegetables, Rice Pilaf. Parenting Lesson of the Day: Uncles are like grown-up playmates. We made a quick trip to see my parents and brother in Cooperstown over the weekend. While we were there I seized the opportunity to cook with Uncle Will. You all know how many awesome recipes he produces and I couldn't wait to learn his latest for Chimichurri Amarillo steak. Since his job requires anonymity (and I won't tell you any more than that), he filmed me making the marinade while whispering directions from behind the camera. I wish I could have included his face because he is really great, but that will have to wait for another time. Will developed this recipe after he tasted something similar during a trip to Panama a few years ago with the Coast Guard. Of all the steaks he ate during his time there he concluded that the Chimichurri Amarillo preparation was his most favorite. Upon his return he looked up several similar recipes, did some taste tests and came up with his own version seen here. And, let me tell you, like his burger recipe from last summer, it is brilliant. Rather then ruin all of the details about this marinade I am going to let you see it for yourself. Like almost all marinade situations I love, I was easily able to prepare this during my daughter's afternoon naptime and let it rest in the fridge for the afternoon. Once cooked, the meat was exceptionally tender from the acidic marinade with a rich spicy garlic flavor. We paired it with grilled vegetables and rice and had a terrific family meal. 1. 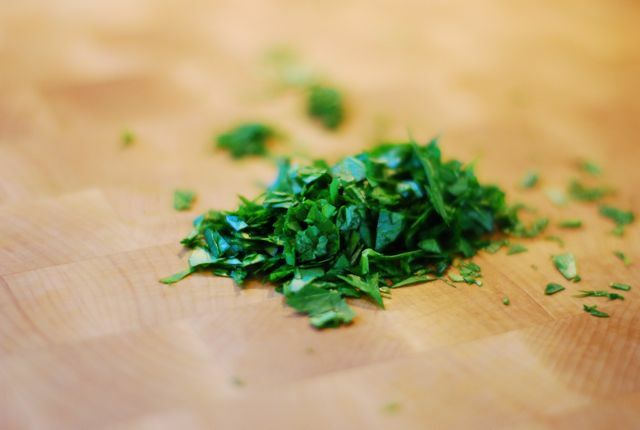 Combine ingredients and stir vigorously or use a food processor. Use half of the sauce as a marinade on skirt steak (or any cut of meat suitable for grilling). Use the other half as a dipping sauce when serving. Make sure to marinate for at least two hours. Naptime Recipe Variations and Ideas: The marinade is pretty delicious as is, but you can always add a little more cayenne if you need an extra kick. I find that a strong side dish really complements the meat which is why we like it with mixed grilled vegetables or something like broccoli rabe. Naptime Stopwatch: Preparing this marinade takes about 10 minutes, then just put the meat in the fridge and enjoy the rest of the afternoon! Naptime Reviews: My daughter doesn't eat these cuts of meat yet, especially after the mouth incident two weeks ago. But, needless to say, the rest of us devoured it. Hi! If you happen to be in the NYC Area I want to invite you all to join me at the Hebrew National Better-Than-A-Picnic Picnic. I will be co-hosting with TheMotherhood and a bunch of great mom bloggers. There will be rides, tons of hot dogs and a great community service project that will benefit needy families in the area. I hope you can join! What's Going on Today: Getting settled, playing at the playground despite the cold snap, enjoying time with each other in the moving aftermath. Naptime Goals: Rhubarb Pie, work in *new* upstairs office (a.k.a. the guest room), take a deep breath and enjoy the absence of boxes. 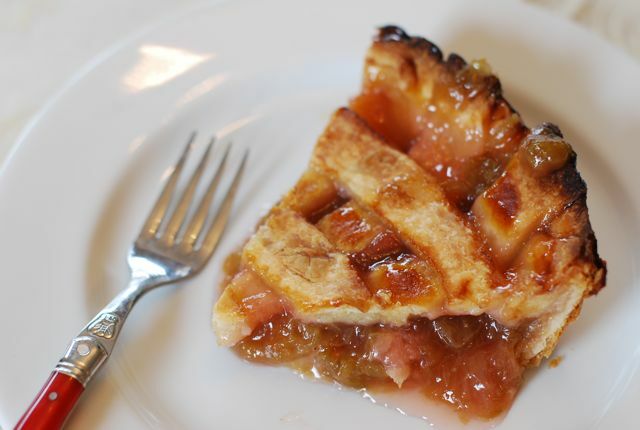 Tonight's Menu: Take-out from the Italian place we are dying to try, homemade Rhubarb Pie for dessert. Parenting Lesson of the Day: Even the littlest ones need downtime, too. My Mom brought me a huge bunch of fresh rhubarb from the garden when she was here last week. I've been saving it to make something delicious and it just so happens that this weather put me in the mood for a warm fruit pie. I know, I know, there has been a rhubarb around here lately, but I promise this is the last one for at least six weeks. This is my grandmothers recipe and it is a real treasure. I only use the filling recipe she gave us, though. The pie crust recipe she wrote contains copious amounts of lard so I opt to make Dede Wilson's pie crust from Bon Appetit instead. Dede's crust has never let me down and works with just about any pie I've ever made. It does a perfect job of showcasing the soft, tangy rhubarb compote filling, that is neither too tart nor too sweet. In a way, I feel like I am initiating our new kitchen by making this family favorite. Like I am introducing my new appliances to what they can expect from me over the next year. So far everything seems to working well, even, thankfully, the radiators. 1 1/2 sticks (3/4 c.) unsalted butter, cut into 1/2-inch cubes. Frozen for 15 minutes. 1. In a food processor fitted with a blade process the flour, sugar and salt for 10 seconds. Then, add the butter and process again until a soft meal forms. Finally, dribble in the ice water bit by bit until a moist dough forms. Remove the dough from the processor, divide into two equal pieces and form disks. Wrap each disk and place in the fridge for at least 1 hour or up to 24 hours. 2. 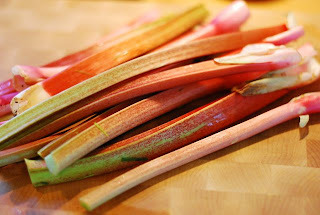 Make the filling by combining the rhubarb, sugar, zest and juice in a saucepan over medium heat. Stir the rhubarb until it becomes tender and liquidy. About 8 minutes. Then, continue stirring until the liquid begins to form a syrup. About 5 more minutes. Remove from heat. 3. Once the crust has chilled, roll out both disks on a lightly floured surface until they are 12" round. Place one pie crust in the bottom of a 9" pie dish. Fill it with the rhubarb filling. Cut the second round into strips 1/2" thick. Place 6 strips in one direction, equal distant apart. Then, arrange remaining strips in the opposite direction to form a lattice pattern. Seal the strip ends to the crust edge with your fingers. Combine cream and sugar in a bowl and brush over the lattice, but not the crust edges. 4. Preheat oven to 450ºF and bake for 30 minutes. Then, reduce heat to 375ºF and bake for an additional 10 minutes. Allow to cool and serve. Naptime Recipe Serving Ideas: This is a great spring or summer dessert. I recommend serving it with whipped cream or vanilla ice-cream. Naptime Stopwatch: Preparing the crust takes about 5 minutes. Then, preparing the filling takes about 20 minutes. Naptime Reviews: My daughter is still learning to like rhubarb, but my husband and I loved it! Naptime Goals: Prepare Green Beans in Marinade, catch up on bundle of forwarded mail we just received, attempt to figure out cable box. Tonight's Menu: Lemon Chicken, Marinated Greens Beans, Cous-Cous, Homemade Malted Milk Ice-Cream. Parenting Lesson of the Day: You've been to one playground, you've been to them all. When it comes to side dishes I love a big serving of hearty green vegetables. There are any number that I eat and I am always looking for new preparation ideas. One of my particular favorite veggies is green beans. 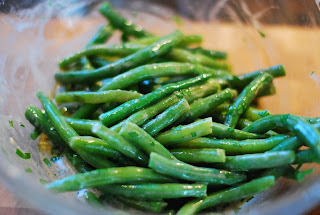 I don't know why, but I just can't get enough of them, especially the slim green beans known as haricot vert. A lot of times I end up steaming them and tossing them with a tiny bit of lemon better. I also love it when they are tossed with toasted chopped walnuts and a dash of walnut oil. I've even fried them tempura style and they came out pretty well, even though it made a gigantic mess in my kitchen. Last weekend we were settling into our new home and I decided it was time to try the recipe for Marinated Green Beans my mother served the last time I was home. She had gotten this recipe from her friend, Michelle, with whom she taught for almost 20 years. In this recipe the beans are blanched to maintain flavor and crunch, then tossed with a tangy mustard vinaigrette. Best of all, with the new herb pot sitting on our back porch, I had plenty of parsley on hand to give it a boost of fresh flavor. This was the perfect side dish to prepare during my daughter's afternoon naptime. Assembling the whole thing took less than 20 minutes and then the beans were placed, covered, in the fridge for the remainder of the afternoon. While they sat there the marinade infused the beans with the deep flavor of dijon mustard and bright red wine vinegar. By the time we sat down for dinner and I served them alongside our lemon chicken and shallots each crunchy bean was bursting with juices. It was, perhaps, one of the easiest and most delicious sides dishes I'd prepared in a while. It is worth noting that I've been told this recipe works exceptionally well with asparagus. I just picked up a bunch at the farmer's market this weekend, that's what I'm going to try next. 1. Fill a large saucepan with water and add 1 T. kosher salt. Bring to a boil and add the green beans. Cook for 3-4 minutes, or until they can easily be speared with a fork. Drain pasta water and plunge green beans into a bowl of ice water. 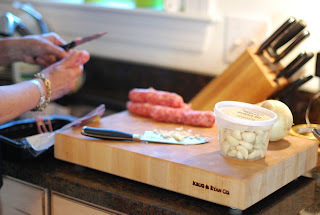 This will stop them from cooking and help them stay crunchy. 2. 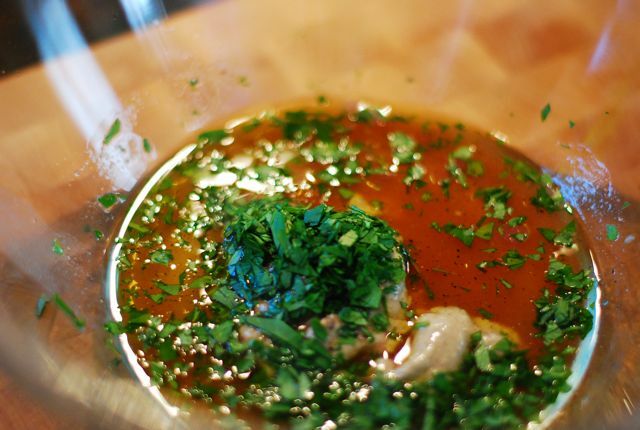 In a large mixing bowl add vinegar, olive oil, mustard, sugar, salt, pepper and parsley. Whisk vigorously to make sure everything is thoroughly combined. Add drained green beans and toss well. 3. Cover bowl with plastic wrap and place in the fridge for at least 3 hours or up to overnight. Serve room temperature, or reheated in the microwave for 1 minutes or until desired temperature. Naptime Recipe Variations and Ideas: This marinade is very versatile. It could be used for asparagus or even as a salad dressing toss with dark lettuces. Naptime Stopwatch: Preparing these beans takes about 20 minutes, plus resting time. Naptime Reviews: My daughter found the vinegar too strong for her, but my husband and I loved it. There was some leftover and we saved it in the fridge for another night. What Going on Today: My Mom is visiting us in CT to help take care of her granddaughter while I finish unpacking and do errands! Naptime Goals: Organize paperwork for household bills, assemble meat sauce for dinner. Set Green Beans to marinate. Tonight's Menu: Ziti, Marinated Green Beans. Wine. 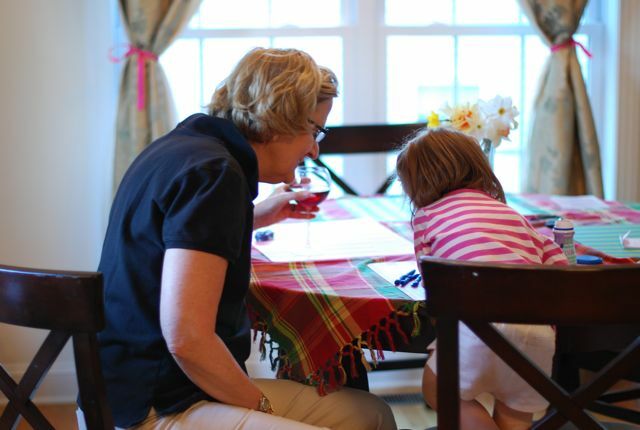 Parenting Lesson of the Day: Grandparents. A necessary part of parenting. Though I've been doing a pretty great job at unpacking - if I do say so myself - my Mom came down this week to help take care of my daughter. She distracts the kiddo with trips to the new playground and library, while I unpack boxes and spend ungodly amounts of time at the DMV. Normally in these situations I would hire one of my awesome babysitters to come over, but I don't know any sitters in the area yet! Finding a babysitting service is on my list of things to do. One of the many nice things about having Mom here is not only does she help me with the little one, she also helps me in the kitchen. Technically my Mom is the original Naptime Chef. She was always preparing our meals while we were asleep, or in class, or at soccer practice. She even used to ice our birthday cupcakes for school in her pj's before we woke up! Although my brother and I flew the coop long ago she hasn't forgotten any of her old tricks and is always game for giving me a hand. 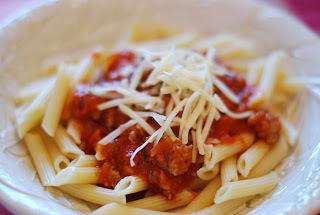 Yesterday, while my daughter was asleep, we put together a yummy meat sauce for dinner. The assembly was relatively easy and was made especially simple by the fact that there were two of us working at once. She handled the sausage and vegetables while I took care of making the green bean marinade. Once the sauce was complete we kept it in the fridge until it was ready to be reheated for dinner later that evening. We also set some green beans in the fridge to marinate. More on those next week. That evening, when I returned from yet another ridiculously long afternoon of errands, we reheated the sauce, made the pasta and assembled the dinner within minutes. It was Mom's comfort food at it's finest. The pasta was coated with a delicious red sauce made sweet by the italian sausage with a nice topping of tangy parmesan cheese. The green beans on the side added the perfect amount of crunch and greenery to compliment the red pasta meal. One of my favorite parts is that we were able to enjoy the sauce again the next day for lunch and even freeze a small portion for a night later this summer when I need a meal in a jiffy. Making this together was a great way celebrate a fun visit, the perfect early Mother's Day celebration. 1. In a large saute pan heat the olive oil. Add the onion and cook until softened, about 5 minutes. Then add the garlic and cook for one additional minute. Add the sausage and cook until the meat is browned and fully cooked through. 2. Next, add the marinara sauce and salt, lower the heat to the lowest setting. Cover with a lid and stir ocassionally, until sauce has thickened. Turn off heat. Place the sauce in the fridge until you are ready to heat in eat it if making this ahead of time. 3. Prepare penne according to package directions. Drain it and reserve 1 c. of pasta water. Add the penne to the sauce in the pan and swirl to incorporate. If sauce seems too thick thin it out with a few splashes of pasta water. Scoop into a pasta bowl, top with grated cheese and serve. Naptime Recipe Ideas and Variations: We used Marinara sauce for this but you could use any flavored sauce you like. I really like Newman's Own Cabernet Marinara and bet that would be fantastic. If you have more vegetables on hand then we did chop them up, saute them with the onions until soft. We like to eat this with a green salad and garlic bread. Naptime Stopwatch: Preparing the sauce takes about 20 minutes, the swirl it with the fresh pasta and serve. Naptime Reviews: This deconstructed pas dish is wonderful for both adults and children. Especially children who are still on soft food diets because of mouth injuries! 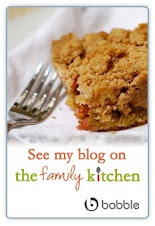 In case you haven't heard, this week I started a daily column on Babble's food blog, The Family Kitchen. I am beyond thrilled to be working alongside Jaime Mormann Richardson from Sophistimom, Julie Van Rosendaal from Dinner With Julie and Caroline from Devil and Egg. You can find all of our posts here on The Family Kitchen home page. I'll also do a summary of my posts in my weekly newsletter so don't forget to sign up! What's Going on Today: Almost finished unpacking! Morning walk to Main Street to get tea and check out the childrens section at the local library. 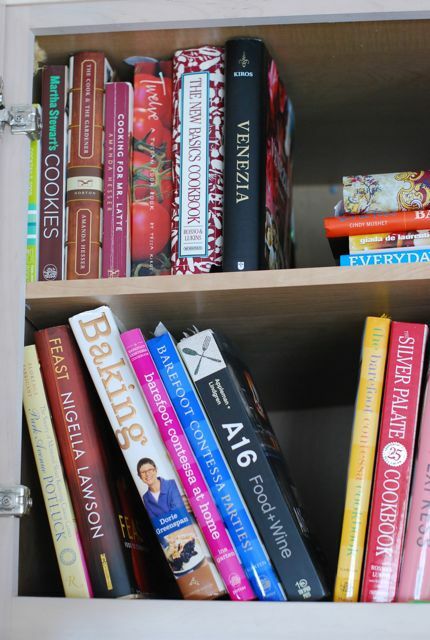 Naptime Goals: Bake Apple Bread to take to friend's house, organize cookbooks on new kitchen shelves. Tonight's Menu: Dinner at a friend's house. Parenting Lesson of the Day: It is truly remarkable how quickly children make new friends. We've have nearly completed our first week living in Connecticut and so far so good. In fact, it's been pretty great. Of course, I could have done without my daughter smashing her front tooth on the base of the slide at the playground, but that seems to be par for the course with parenthood. Just when you think everything is going smoothly a new injury is sustained and mayhem ensues. Thankfully, we found a fabulous pediatric dentist in town and all has been repaired. One of the many great things about moving to this town is that we already know a family who lives here. Even better, we know them well enough that they invited us over for casual neighborhood dinner to introduce us to their friends. As the newbies in town we couldn't have been more grateful for the invitation, even my daughter was excited since their is son is exactly three days older than she is. I can already tell they are destined to be playmates. With my kitchen unpacked and all of my ingredients on hand it seemed only natural that I express my gratitude by baking them a little treat. I wanted to make something that was completely family-friend so I went straight to my favorite Tessa Kiros volume, Apples for Jam, and opened to an old favorite, Apple Bread. Much like banana bread, this loaf is soft and chewy, flavored with sweet fruit and topped with warm spices. It is perfect for adults and children alike and is great for breakfast, lunch or an afternoon snack. This bread was the first thing I Naptime Chef-ed in my new kitchen and it was perfect. While it baked any remaining whiff of fresh paint was quickly erased by the comforting aroma of warm cinnamon and apples. Since this recipe usually makes one large loaf I decided to divide the batter into two smaller loaf pans. When they cooled I wrapped one to take to our friends, and let my daughter have a fresh warm slice of the other when she woke up. Our dinner was wonderful and the food delicious. It was a great evening with new friends and the perfect way to kick-off sweet new beginnings. 1. Preheat oven to 350ºF. Butter and flour a 12x4 inch loaf pan, or two smaller loaf pans. 2. In a mixer fitted with a paddle attachment cream the butter and sugar until light and fluffy. Then, add the eggs and beat them well. The mixture will still look slightly curdled, but that's fine. 3. In a separate bowl sift together the flour, baking soda, baking powder, cardamom, cinnamon and salt. With the mixer on low add the flour mixture to the wet ingredients bit by bit until they are totally incorporated. Then, stir in the apples, walnuts and vanilla until just combined. Prepare the topping by mixing the walnuts, brown sugar and cinnamon in one bowl. 4. Pour prepared batter into loaf pan(s) and sprinkle with topping mixture. Bake for 45 minutes, or until cake tester inserted comes out clean. Naptime Serving Suggestions: This is a great bread for any kind of day. In the morning try it with a dollop of yogurt of schmear of cream cheese. Naptime Stopwatch: Preparing the batter takes 15 minutes and then baking is about 40 minutes. Naptime Reviews: This is a great family-friendly bread. My daughter loves it and refers to it as apple cake!